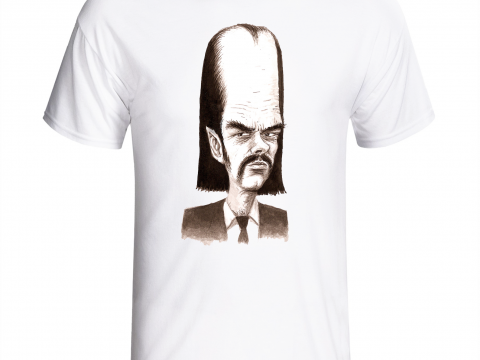 Welcome to one of the bespoke specially created T-Shirts from a range available at Sell Cell. Crisp Sharp Distinctive Illustration applied perfectly to our SOFT White 100% Polyester T-Shirts with Moisture Management Finish. When deciding upon the comfort and fit of the T Shirt we have provided a chart below confirming the clear range of sizes available. Where the image option is available for the featured T-shirt, when selecting your T-Shirt please ensure you select the correct size of garment from the drop down box and choose if you wish to see the image appear on the ‘Chest Area’ only or also wish to have the added design on the ‘REAR’ of the T.
The specialist process used to brand the shirts means the image is very durable and will not fade. The T-Shirts should be washed at 30°C Max. Rinse in cold to ‘luke-warm’ water. The T’s can be ironed, however do not tumble dry and do not dry clean. Check the other T-Shirt Options Here. 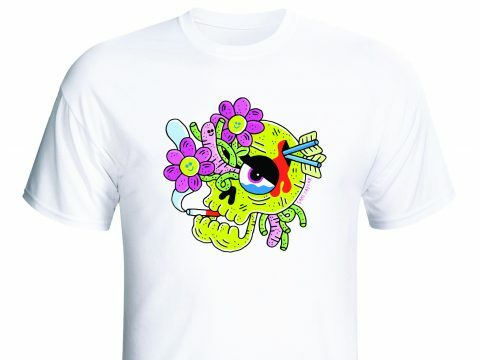 One of a NEW range of exclusive illustrated fitted T-Shirts.